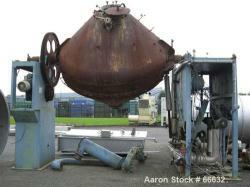 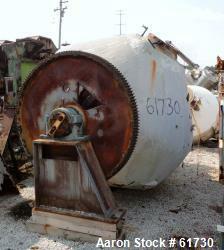 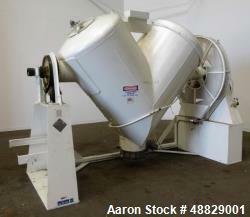 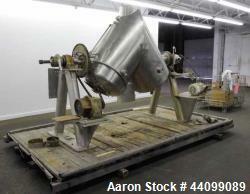 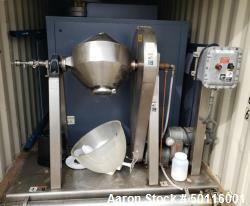 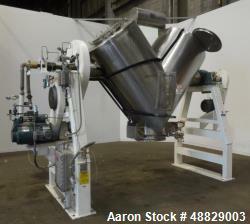 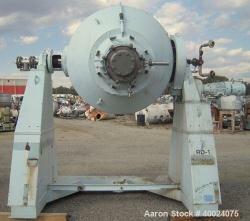 Used-Klein/Henkhaus Double Cone Tumbler Dryer. 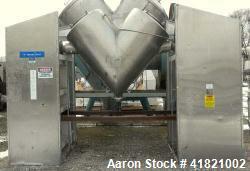 Material is stainless steel (1.4435), capacity 35 cubic feet (1000 liter), cylindrical length 18" (450 mm), conical length 28" + 24" (700 + 600 mm), inlet diameter 7.9" (200 mm), manhole. 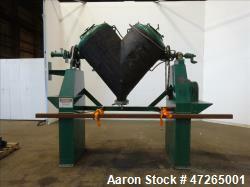 Working pressure vacuum 87 psi (6 bar), test pressure 113 psi (7.8 bar), with jacket 8.8 cubic feet (250 liter). 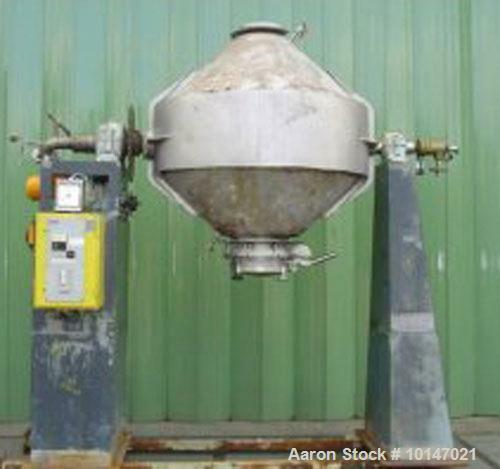 Working pressure 87 psi (6 bar), test pressure 132 psi (9.1 bar), max temperature 329 deg F (165 deg C), motor 2 hp/1.5 kW, 380 volt (EX), with variable speed drive, dryer speed +/- 4.4-22 rpm, with switchgear, mounted on mild steel frame.